Working out of a century-old tin barn since 1993, Diane Wilson has established herself as a standout winemaker in Sonoma County. She started her winemaking career by winning Best of Class for her wine, unusual for someone without formal winemaking training. The instant success she experienced with her first vintage has continued for over twenty years, recently taking home 38 gold and double gold medals for her wines at the Sonoma County Harvest Fair. As the creative force behind Matrix Winery, Diane continues to accrue a staggering amount of awards each year. She uses self-described unorthodox methods to craft standout wines. Although she learned the basic elements of wine chemistry as a Biochemistry major in college, she says her degree isn’t what makes her a great winemaker. Instead, she credits her hands-on learning along with relying on her senses during the production process to know when it’s time to blend or bottle. Employing her senses has served her well as her hand-grown single vineyard Duetto Zinfandel won 94 points at the North Coast Wine Challenge. 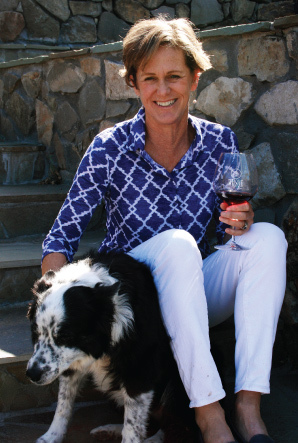 Her Sawyer Zinfandel and Molly’s Petite Sirah earned two of her many Sonoma County Harvest Fair and San Francisco Chronicle Wine Competition Sweepstakes wins, and at the 2011 International Women’s Winemaking Competition, Diane won three Best of Class awards, as well as Best of Show. Diane and her husband, Ken Wilson, made their entry in the Dry Creek Valley as grape growers, planting their first vineyards high in the mountains of the northern part of the Dry Creek Appellation. Their love of family is reflected in the naming of their vineyards. Their first holdings were named after their children: Sydney, Victoria and Sawyer Wilson. Today, some 22 years later, each of the children has a role in growing the business as well. Victoria grew up in the Wilson winemaking family as it literally started with the roots, when her father Ken farmed their first vines, and her mother, Diane, crafted the wines. In her childhood, Victoria learned the variables of terroir and the nuances that the earth and soils impart to the vines. Her respect for the responsible stewardship of the vineyards extended to her Environmental Sciences study at UCLA. When she returned from Los Angeles, she worked alongside her mother crafting world class Zinfandels, experiencing every aspect of crush and production. Wanting to understand the breadth of the wine business as completely as possible, she spent several years managing the Tasting Room at one of her family’s eight wineries, Soda Rock. 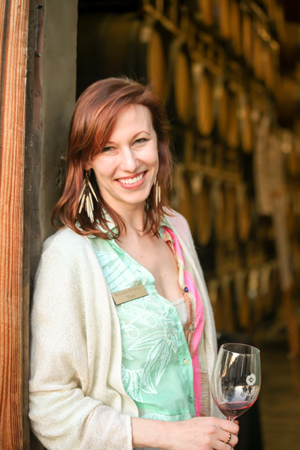 With a wealth of knowledge under her belt, returned once again to her true passion of winemaking, as Assistant Winemaker for Wilson Artisan Wineries. Today, Victoria Wilson is now at the helm of Matrix Winery. It has always been Victoria’s dream to produce high-end Pinot Noir, Chardonnay, Zinfandel and Petite Sirah from the land her father, Ken Wilson, has cultivated. After many years of working side by side with her mother Diane Wilson, Victoria has settled into her accomplished role producing unforgettable expressions of Russian River Valley wines.